Choosing a DME is not just about getting a machine! We care for patients with the utmost of professionalism, respect and courtesy and highly value our long-term relationships. We are committed to our customers well-being and offer long term support on their compliance and healthy lifestyles. 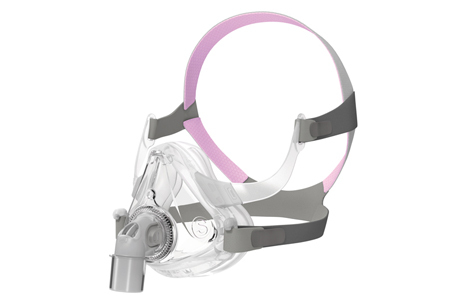 Patients have 24/7 access to a personal web portal with reminders to re-order tubes, chin straps, filters, replacement masks, mask cushions and more. Masks can be replaced as often as once every three months. Ironically, the headgear (the straps that hold the mask on your face) is only covered once every six months. At Grove, we recognize that when you are ready for a new mask, you’ll need new headgear as well, so if you order a new mask, we’ll make sure it comes with new headgear, even if we give it to you for free. The cushions (or nasal pillows) on the mask can be replaced as frequently as twice per month. Since Grove offers you opportunities to order supplies once every three months, you can get as many as six replacement cushions or pillows. If you use a Full Face Mask, the guidelines are different and your can only receive one replacement cushion per month (Three every three months). After you have set up your patient portal you can order supplies over our secure network.